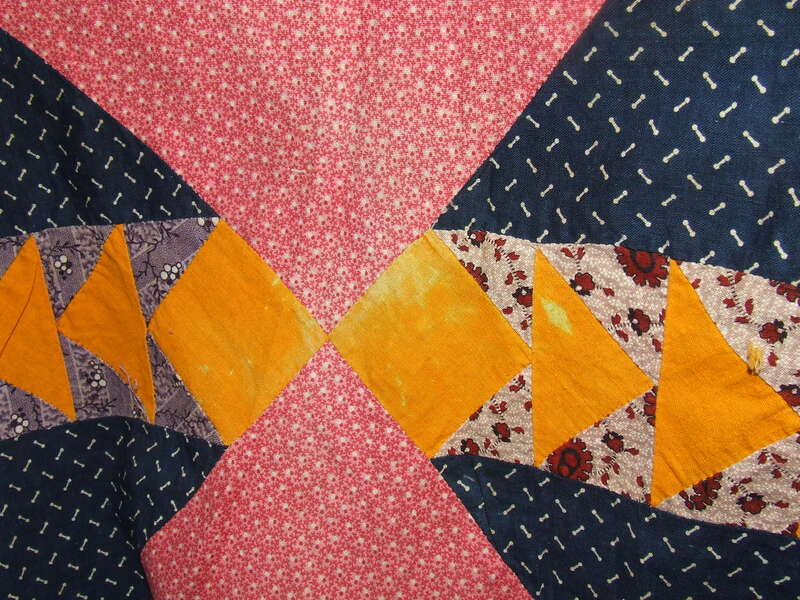 I finished 12 blocks on the antique log cabin quilt. So far it’s looking good and I can’t make myself stop! 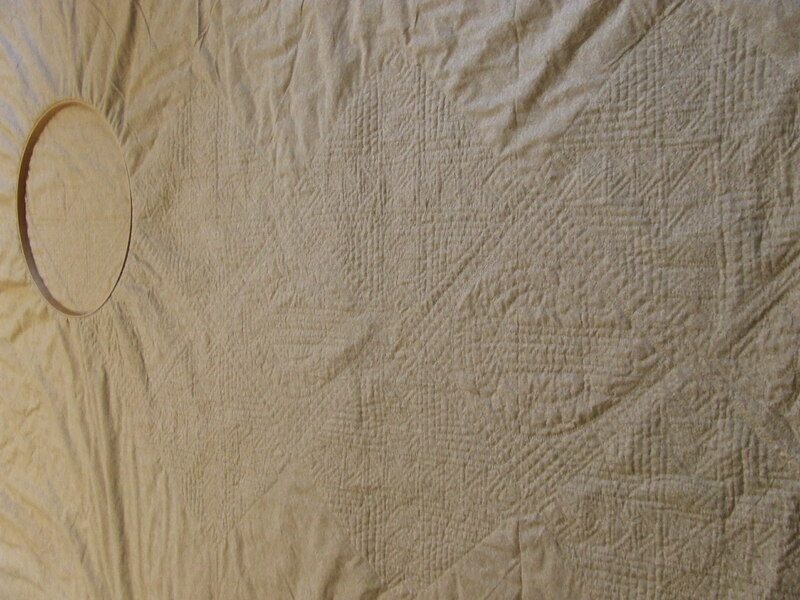 Here is a look at the back (harder to see the quilting on the back because of the pattern). 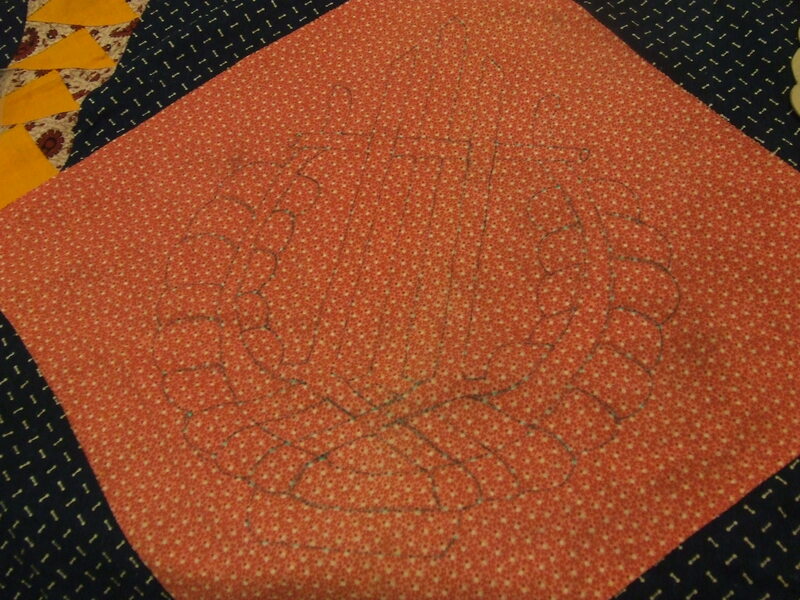 I have also made some good progress on the antique odd fellow’s quilt. 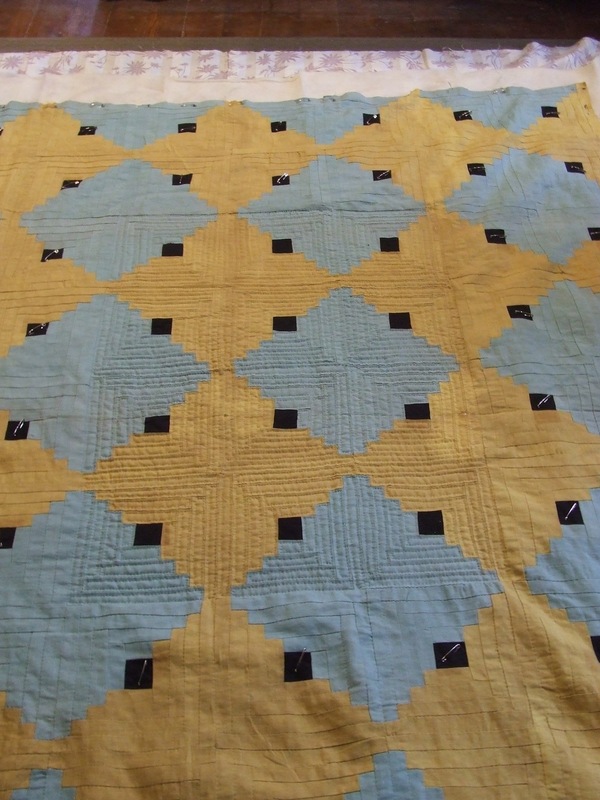 The quilting on this one shows pretty well from the back. 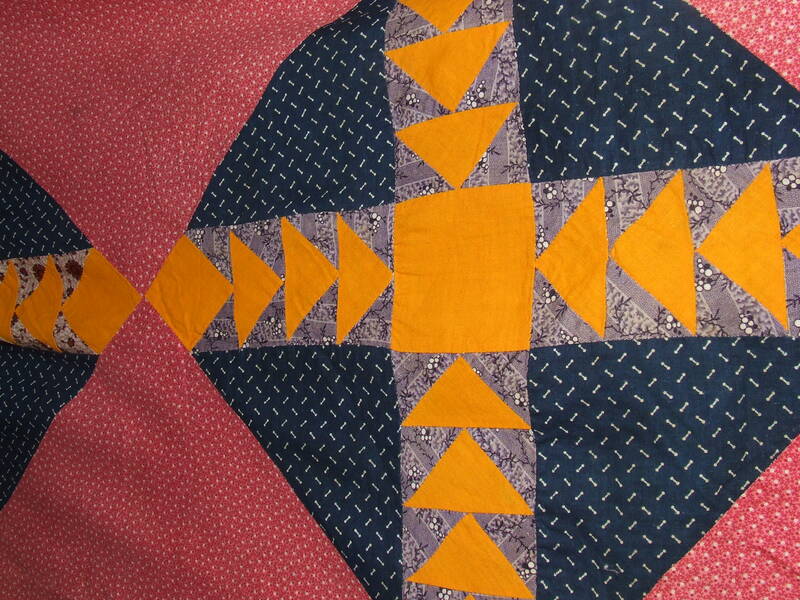 I love the process of hand quilting and find it so relaxing. 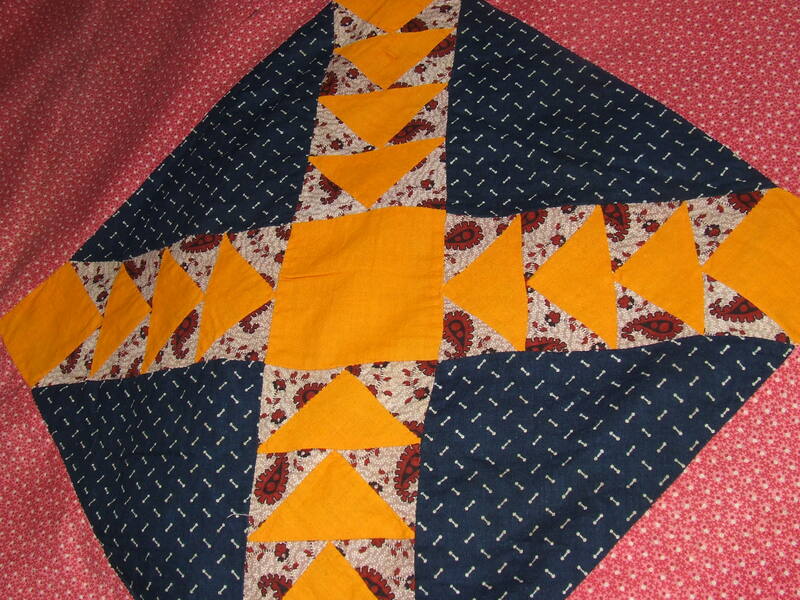 I can’t imagine watching TV at night without a quilt to work on! 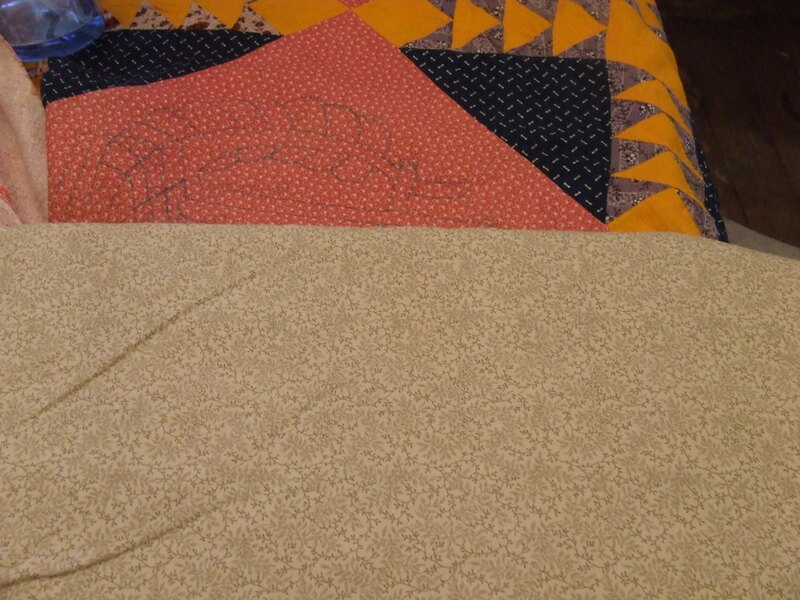 Last night was the first episode of Downton Abbey season 2, so I got a lot of quilting done. 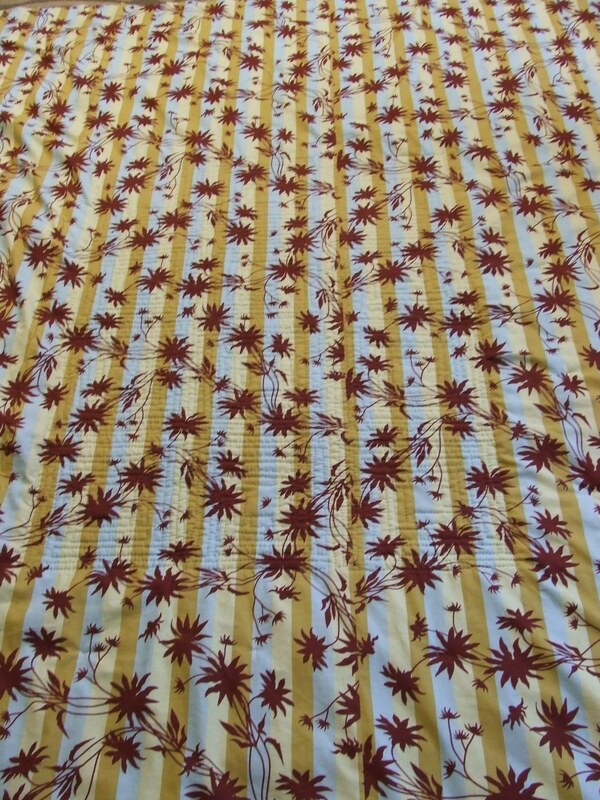 Another eBay quilt top arrived yesterday. 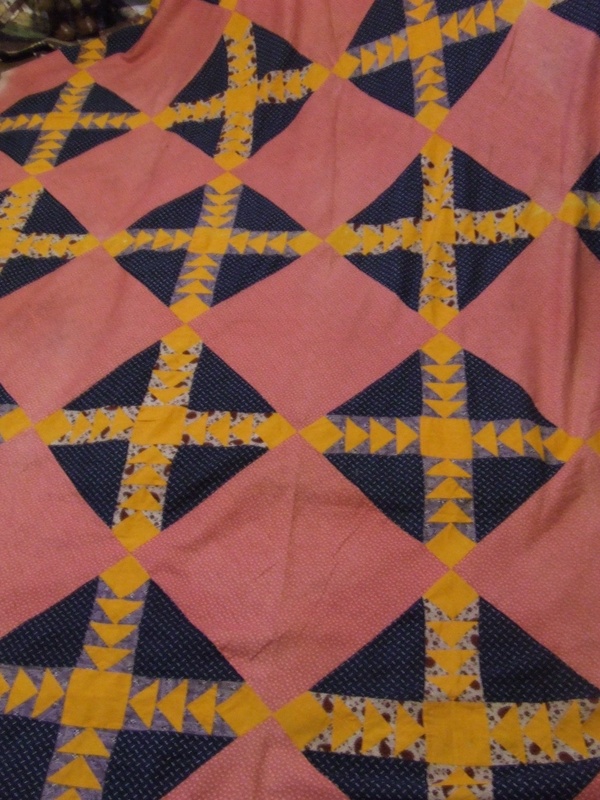 I could not resist…I am powerless over antique quilt tops. As you can see I have some trimming of loose threads to do as a result of the washing. 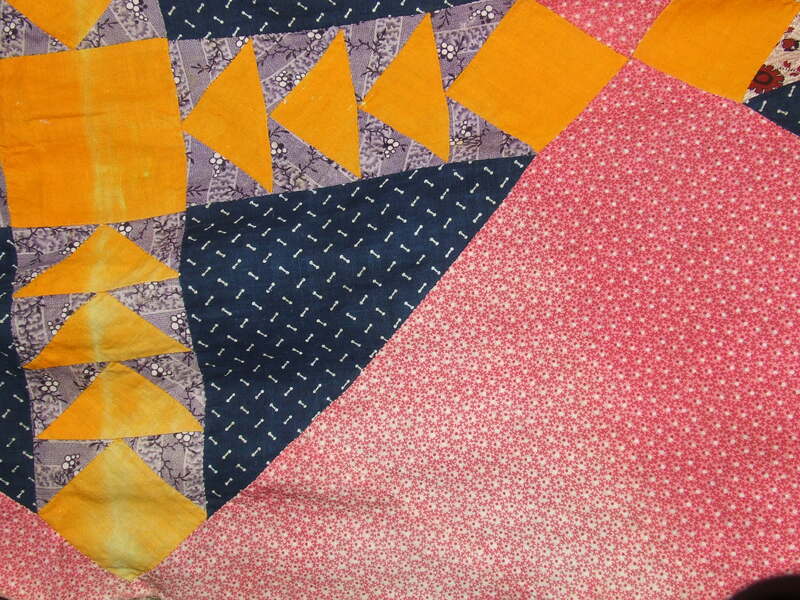 I don’t often start a quilt as soon as it arrives but I started planning this one as soon as I unpacked it. In an earlier post I wrote about some vintage templates that I have. 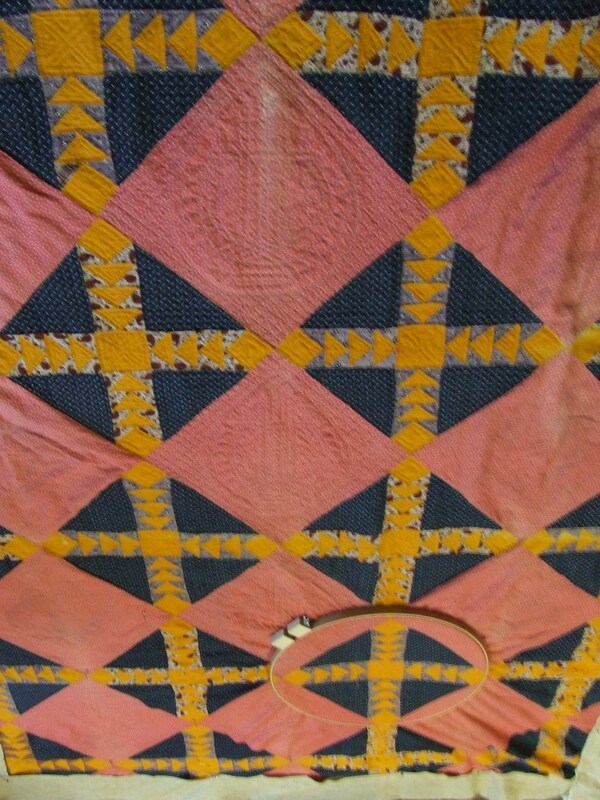 This quilt called out for one of those. Here is the one I will use. 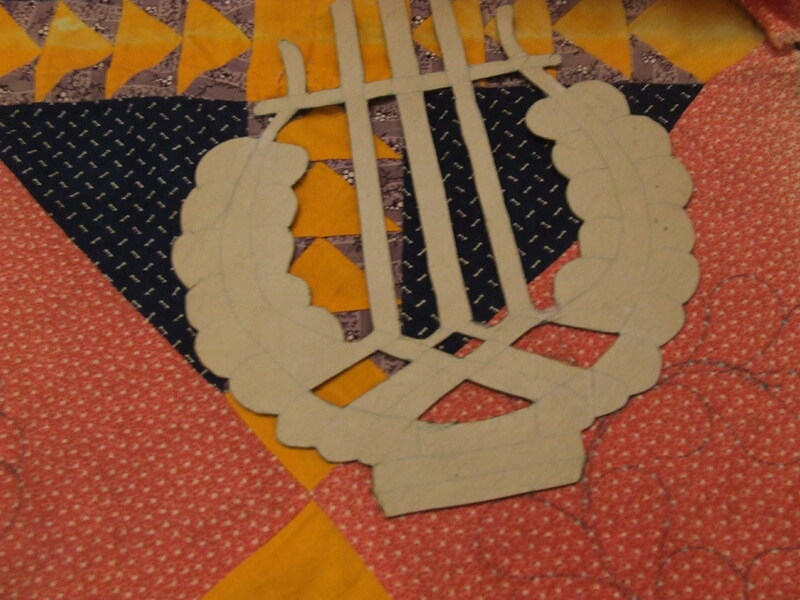 The pieced blocks, Odd Fellow’s Or Wild Goose Chase (I can’t decide which to call it) will be outline quilted by the piece. 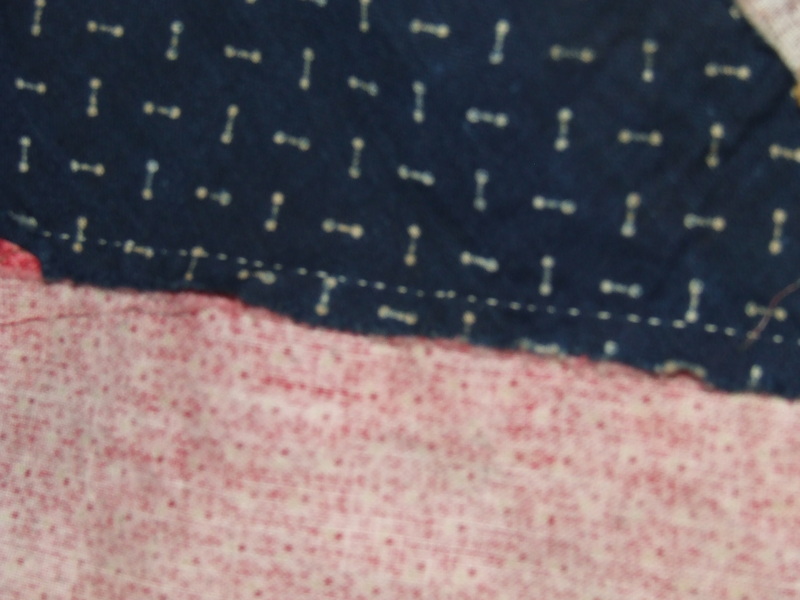 I mark with a clover wash away marking pen when the fabric is light-colored. I did a test and it washes out with no problem. It is “Documentaries by Benartex” . I think it feels at home with the top. 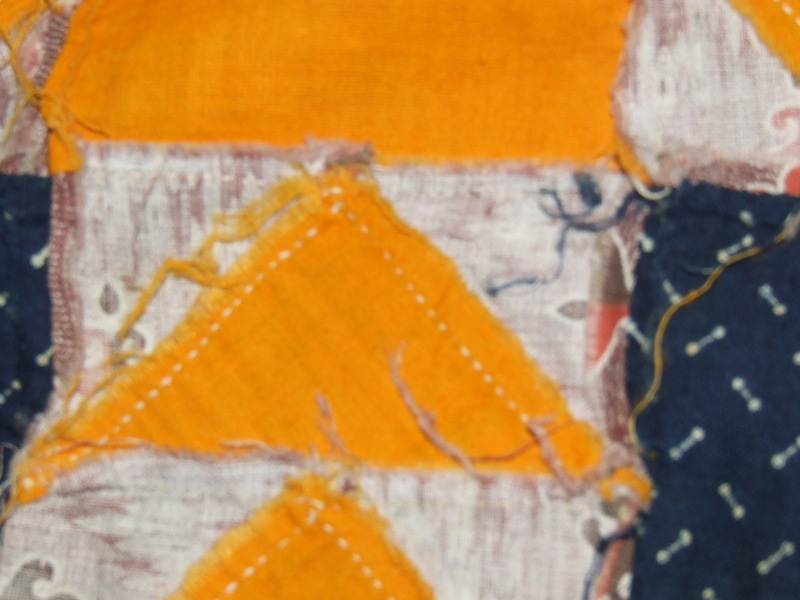 I will likely use an indigo binding. The bating will be cotton. 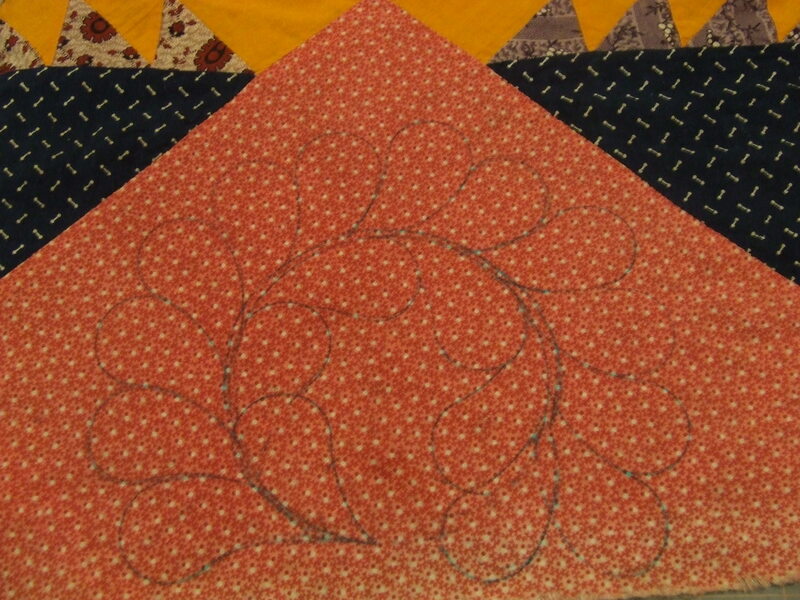 Now I have to finish up the marking, get it laid out and basted together and get to the fun part….Quilting! I will keep the progress posted.